Takes a bit longer to check in. The coffee machine doesn’t work. Where to find Chilliwack hotels near an airport? 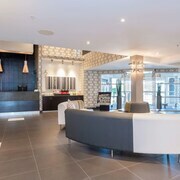 How can I find hotels in different Chilliwack neighborhoods? 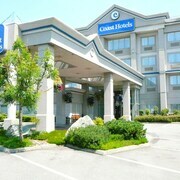 Where can I find hotels in Chilliwack that are near tourist attractions? Putting together the ultimate Chilliwack vacations? You’ve come to the right place. Whether you’re searching for luxurious hotels Chilliwack, BC has to offer or simply want to browse a few packages to kick off the planning process, Expedia has everything you need to piece together the getaway you’ve been craving. Simply use our search engine to track down cheap deals and travel essentials, and then pack your bags for the perfect escape. 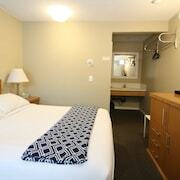 Of course, the perfect escape starts with the perfect Chilliwack hotel. Heading out on a summer retreat? Search for properties near the Cultus Lake Waterpark. This family-friendly spot is the largest of its kind in British Columbia, and it offers an impressive array of water slides, lazy rivers, thrill attractions, and kiddie pools. Prefer something on the more natural side of things? 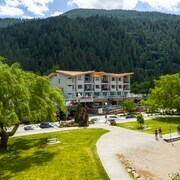 Cultus Lake Park is ideal for warm-weather swims and lakefront picnics, and you’ll find several hotels in Chilliwack near its shores. If you’d rather stay closer to Canada’s dry land, explore the rugged resorts and cozy inns near the historic center of town. These properties are fantastic home bases for uncovering the local treasures. Book a tasting tour at the St. Urban Winery. Hike the trails that snake through Chilliwack Lake Provincial Park. Grab a bite to eat at the charming cafes, or browse the collections at the Chilliwack Museum. Whatever your vacationing style, this city has a little something for you. Once you’ve decided where you’d like to stay, make sure to flip through the planning tools at Expedia to track down flight deals, search for rental cars, and make a reservation at one of the unforgettable hotels in Chilliwack, British Columbia. From adventurous journeys to laid-back retreats, we have the skinny on the best getaways for your budget. What are the most popular Chilliwack hotels? 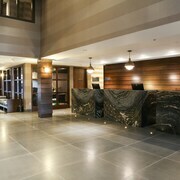 Are there hotels in other cities near Chilliwack? What other types of accommodations are available in Chilliwack? Explore Chilliwack with Expedia.ca’s Travel Guides to find the best flights, cars, holiday packages and more!